A Graceful Baltimore, by Denise Sheehan from Pleasant Hill, CA. The Fabric: Secretly, I’ve wanted to work up a sampler quilt from the beautiful French General fabric lines ever since Kaari Meng first appeared on the fabric scene with Moda. 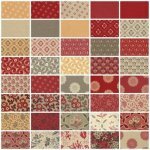 Her newest collection, Chateau Rouge is stunningly spectacular and is the primary palette from which we will work from for our 2013 sampler quilt. Then, we began looking for the perfect pattern for this fabric collection and had our scouts combing the thousands of patterns on the market until we found this one from Denise Sheehan, A Graceful Baltimore. We are attracted to the graceful blocks with birds, wreaths, flowers and stems. The pieced blocks are simple to construct and the applique gives us the little challenge we all need to sharpen our quilting skills. We are here to support the project all year long with applique classes in all three methods: hand, machine and raw edge. All three methods are acceptable and equally accomplish the finished effect. Say yes to the Graceful Baltimore and spend the year with us dipping from Chateau Rouge in those lovely reds, creams, bisques, greys and green. This year long project, done block of the month style, comprises of 5 pieced blocks, 6 applique blocks and a final month of border and binding. 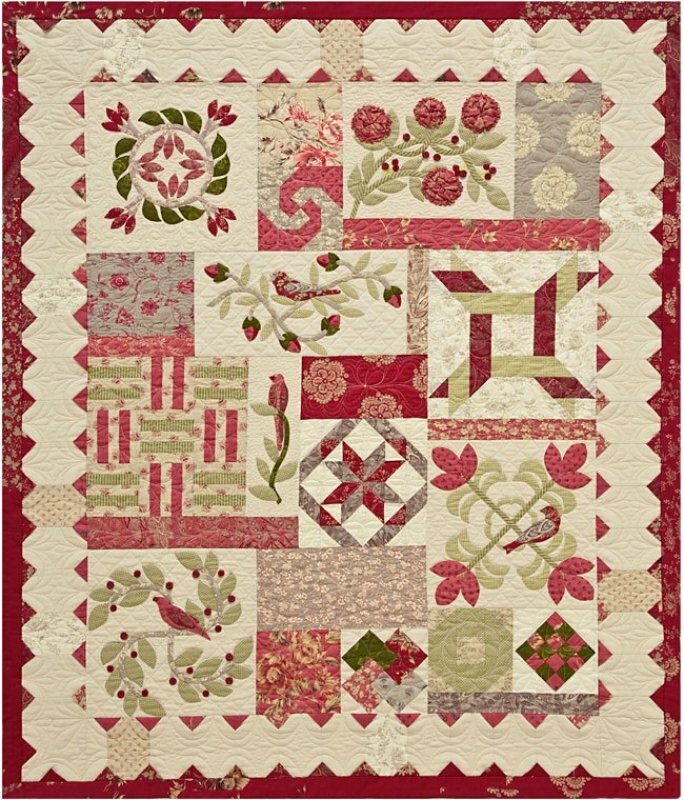 All 11 blocks plus border and binding are included in your sampler price of $99.99 plus pattern pack ($24). The only “extras” you’ll need are 1-2 yards of finishing fabric for the spacer blocks and a 3 yard backing. The quilt is a lap or wall hanging size at 47 x 56 and uses a nice new border element not done before in any of our sampler quilts. Come see the beautiful sample from Denise in the shop now. Learning new skills, piecing from a fresh, new pattern company and working in a very popular designer collection from Moda, you’ll want to put this one on your list for 2013. Sign ups will begin October 2012.